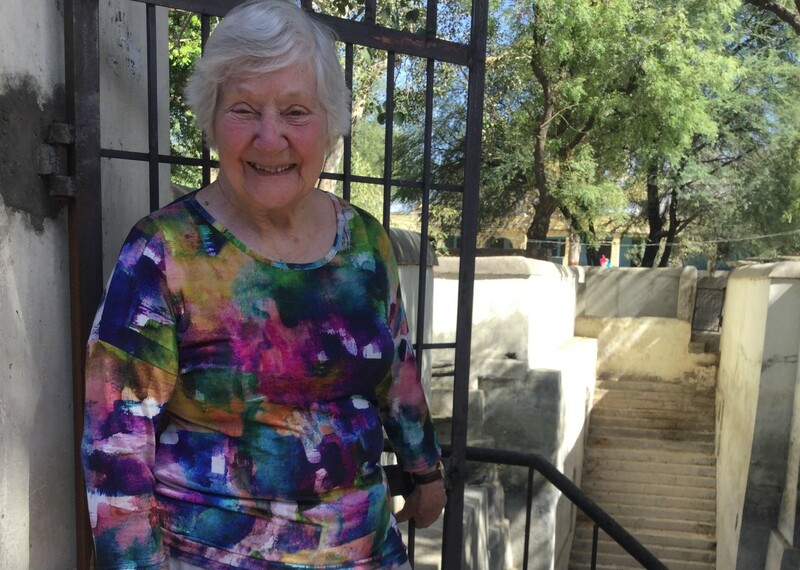 Patron Shirley Williams spent a week in Udaipur at the beginning of April paying particular attention to Seva Mandir’s work on clean drinking water, and Women’s Leadership. Shirley was towering, her thinking and analysis like laser beams. The opportunity to show how much we care about Seva Mandir from far away in the UK could not have been bettered. Shirley’s programme included a presentation on education to Seva Mandir’s sister organisation Vidya Bhawan, a symposium on governance, a press conference with the Rajasthan media, and a visit to donors Hindusthan Zinc. Seva Mandir Chairman Ajay Mehta says Shirley’s visit was “a historic event, a tour de force. Her ideas revive the old tradition of internationalism that led to the starting of Vidya Bhawan and Seva Mandir”. Imagine a hole in the ground, 20 feet across, with a drop of 20 feet to a pool of water which is itself 20 feet deep. In the Rajasthan desert, that is what you call a well. It is also a death trap, not just for animals but for the women who fetch and carry the water for their families. What a difference a wall makes! Three feet high and, immediately, the well is transformed from a death trap to a source of life. And, more brilliant still, the wall prevents (often nasty) debris being washed into the well during the monsoon. A loo or not a loo? As regular readers of our newsletters know, Seva Mandir does not tell villagers what they should have, but rather listens to villagers who are more than able to describe what they need. No one in the UK would much dispute the desirability of having a working loo close to hand. Not so in the Rajasthani desert. And a loo there is so much more than a place to do your business. Properly segregated urine is an effective insecticide and properly segregated and treated poo makes for good manure. That may be, but if the villagers don’t want a loo, they don’t want a loo. That’s where Seva Mandir comes in. At this village meeting, there were 30 loos on offer and it was up to the village women to decide how many they wanted and who would get them. If there was no demand, Seva Mandir would not supply. That is empowerment at its most sophisticated. Delwara is a unique town. Over years now, Seva Mandir has worked with the widely heterogeneous peoples (28 different communities) whose livelihoods depend on a small natural lake. Under Seva Mandir’s guidance, the lake has been properly cleaned, retaining walls rebuilt, and the flows improved to service local wells. Delwara sits close to ancient temples and a rather exclusive hotel, but tourists you do not see. Such a pity because those wells are a sight to behold as is the most extraordinary Jain Temple, hidden away. Like many Indian towns, the streets are full of rubbish and not attractive to tourists. The Delwara leaders decided enough was enough, and now every day, road cleaners clear up the rubbish and take it to a purpose built Seva Mandir waste site at the edge of town. For tourists on their way to Udaipur, Delwara is a great example of modern India. And Seva Mandir has trained guides to make the experience really worthwhile. Sadhna is a women’s cooperative, completely self-owned by its staff. Through their expertise in dressmaking, Sadhna has made enough money to secure its own premises, providing employment to no fewer than 650 women. Sadhna is one of Seva Mandir’s most successful programmes in bringing sustainable self-employment to village women.